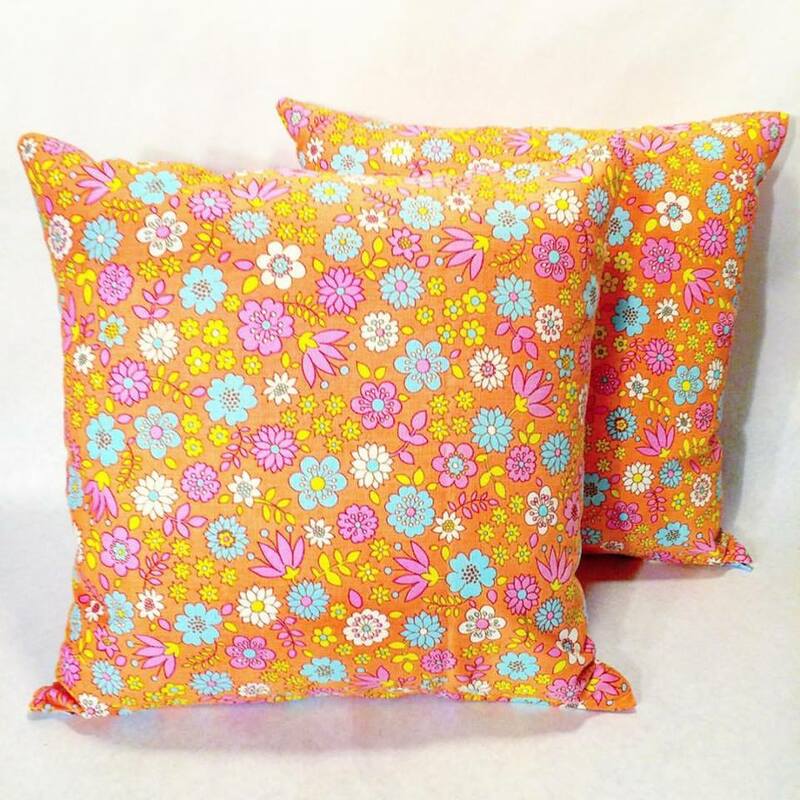 These pillow covers are made with a bright and cheery floral pattern vintage fabric that zips off for easy washing, and are stuffed with machine washable polyester fill pillow inserts. Each measures 16″ x 16″. Price is for the pair.